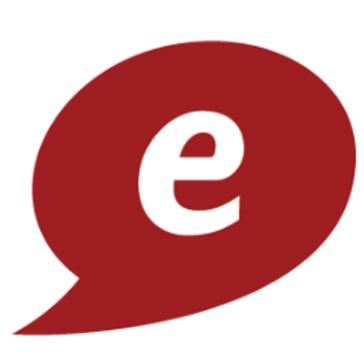 Looking for alternatives to eLanguage? Tons of people want Language Learning software. What's difficult is finding out whether or not the software you choose is right for you. 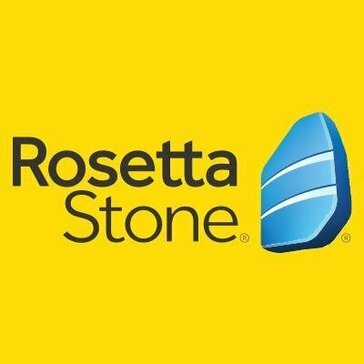 Rosetta Stone is dedicated to changing the way the world learns. The company's innovative, technology-driven language, literacy and brain-fitness solutions are used by millions of individuals and thousands of schools, businesses, government organizations around the world. "Absolutely love it! : I love how Rosetta stone completely immerses you in the language you are trying to learn. I used it to start learning Mandarin Chinese and this was crucial because any other program was mostly just reading, but Chinese has so many pronunciations that it was crucial to be speaking. It is really effective to constantly be using pictures for form associations, even if you aren't a very visual learning, because you're also speaking and listening. Using every sense like that ensure's the most effective learning possible." Lingvist is a language learning platform that provides courses that teach words in their order of relevance, i.e. based on how often they’re actually used in a given language, in order to decrease the time required to learn a new language. "Lingvist is the best app for learning Spanish and French: I am using this app to learn the basics of Spanish words and sentences. 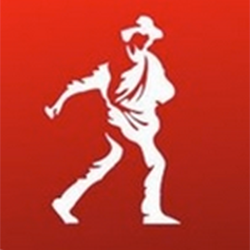 It provides a huge catalog of texts in its app for me to read and learn. It has a smooth mouse roll over support and I can easily hover a word and see its translation immediately which I liked the most about it. Also I have noticed that I can rewind the audio part for about 5-10 seconds any number of times to repeatedly listen to previous sentence back to back till I am satisfied with myself that I have learnt it." 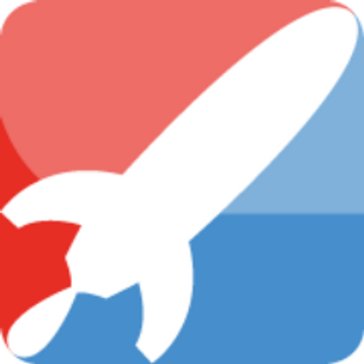 Language learning software for the adventurous, the ambitious and the curious. "Excellent Program! Look: I learn very well with Mango Language's methodology. The repetition and more importantly, direct application have been great. The lessons are concise, relevant, and comprehensive. The progression of lessons make realistic sense for a person who is going to be visiting another country or needs to learn to survive quickly in another language. It's clear that they are building up different lessons for diverse learning styles. I absolutely love the movie learning! The color coded subtitles are gold (no pun intended)! One of my favorite features is the "literal translation." That has been invaluable as I decipher the foreign grammar. As far as conjugation is concerned, it's great that ML doesn't force us to read boring grammar charts and other things like that. Makes it easy to want to stick with the program and continue to learn." "Learning science meets fun and easy!! 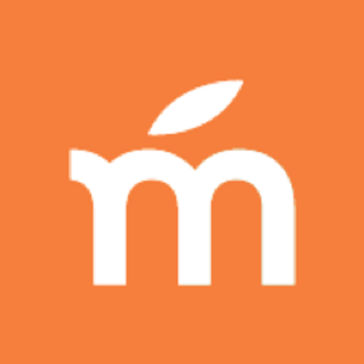 : I have my students use memrise in my foreign language classes for vocabulary homework. SInce I started using this app, my students have improved 150% in their retention of new vocabulary. The app is simple, straightforward, keeps track of everyone's progress, and uses the science of how we learn to ensure long-term retention of the material (as opposed to "cramming" material for a test or quiz)." "Pagina Web para aprendizaje de idiomas. : Busuu es una pagina web que tambien tiene la capacidad para descargarse desde distintos dispositivos moviles para el aprendizaje de muchos idiomas. Tiene muchas lenguas distintas y es muy sencillo realizar el registro desde esta pagina. No se requiere de un pago inicial para comenzar con las lecciones del idioma seleccionado. Solo se necesita el deseo de aprender. La metodología incluida es excelente. Ha permitido que muchos usuarios, incluido amigos se abarquen en varios idiomas. Los niveles y distintos premios obtenidos hacen de este aprendizaje como un juego y esto es mucho mas divertido de esta manera. La interfaz web es muy amistosa y llamativa." Open English provides online English school in Latin America and in the U.S. Hispanic market. The company was founded in 2007 to reinvent the way to teach English, while meeting needs of today’s busy professionals. The online school offers personalized, live classes 24 hours a day, 7 days a week, with teachers who are all native English speakers. "La Mejor Plataforma para Aprender Ingles: Open English sin duda alguna es para mi la mejor plataforma para aprender el idioma ingles, ya que resulta bastante dinámico y fácil el uso de su plataforma, la interfaz de usuario es sumamente fácil de usar por lo intuitiva que es. Para mi lo que le da el plus son las sesiones en vivo, donde puedes interactuar directamente con un profesor que realmente domina el idioma ya que es su lengua materna, y a la vez interactúas con muchas personas de otros países con las mismas necesidades de aprender el idioma. Todo el programa esta diseñado para que puedas aprender el idioma de una manera progresiva según el tiempo que tu le dediques. Otra de las cosas que me gusto de Open English es que cuenta con una app para dispositivos móviles, y así puedas seguir practicando desde cualquier lugar. " 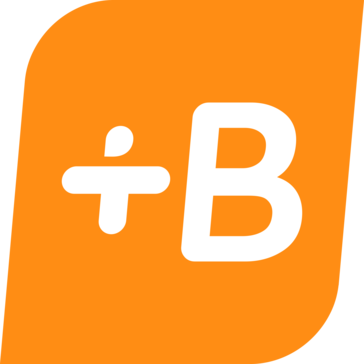 Babbel is everything you need to speak, write, and understand a new language. Learn what you want, when you want - on your computer, tablet or smartphone. "Great for beginning and potential refreshers - but very basic content and format: The ease of use and explanations. I also enjoy the variety of learning activities. It is great because it provides visual pictures with words so those who learn in different ways, whether it be visual, spelling, etc, will have great opportunities to benefit from the product. It was super fast to sign up as well, and get started." 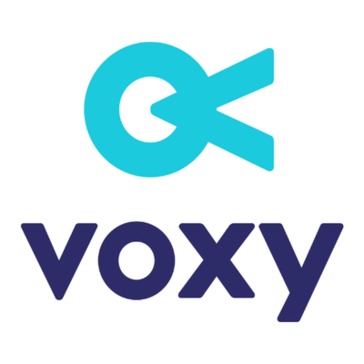 Voxy is an online English solution providing organizations with an adaptive language curriculum. "The best option to complement English courses of institutions: The content is always up to date. It can be adapted to your institution syllabus. The support and success teams are always eager to help you either to solve any technical detail as well as to help you to get the best of the platform. Also, they continously do improvements at not additional cost, which is great. In addition, the added value to your students learning process is amazing as they can continue learning outside the class with real life and interest based content. " italki is a community marketplace that connects language learners with language teachers around the world for online lessons. If you are learning a foreign language, you can find a native teacher to help you become fluent through personal online lessons. "Great marketplace for both language learners and teachers: As a teacher, I like that I can create a profile and set my own prices to teach language learners from all over the world. As a learner, I like that I can browse countless language teachers to find the one or ones that are the best fit for me in terms of personality, scheduling, and price." Rocket Languages system is based on both science and the practical success strategies that polyglots (people who speak 5 or more languages fluently) use, which practically guarantees your success. "Learning Hindi as a Native English Speaker (US English): Where to begin?! The ability to test my pronunciation, not just for single words, but for entire phrases at once is very helpful. This is likely to be especially true for anyone who gets a bit tongue-tied when trying to speak a new phrase at a regular pace instead of super slow. The "cultural context" lessons are a fun way to put what you are learning into a cultural context to understand when/where to best use certain phrases and words. Having 5 different modes of testing after each module helps drill in what you've learned in a way that doesn't get stale a repetitive. I also love the length of the lessons. It isn't too much of a time commitment, but I still feel like it's been a really productive session. " Hello-Hello.com is an innovative mobile language learning company that combines language learning with social networking, allowing users to connect and learn from native speakers around the world. "Great language learning tool with basic conversational course and vocabulary training: The lessons are easy to follow which makes it very approachable to approach the difficult task of learning a new language. Also, the lessons are developed in association with the American Council on the Teaching of Foreign Influences and maintain a high standard. It offers a holistic training approach with speaking, reading, writing, listening and vocabulary building. I like the fact that it allows me take personal notes while learning." The Transparent Language Complete Edition combines the two methods needed to achieve language proficiency. This interactive self-study program delivers both vocabulary and real language in natural context. "Very holistic software, but hard to stay motivated: Transparent languages has a lesson for everything, and I don't think I'm exaggerating. 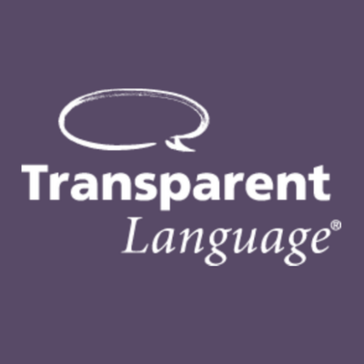 If there's a topic in another language that'd you'd like to learn a plethora of minute details about, Transparent Languages is the correct software for you. It has tons of in-depth lessons on niche topics in different languages. It's quite comprehensive, and offers a variety of teaching methods (from writing, to speaking, to reading, etc). " A fully interactive course of Modern Standard Arabic. Ideal for beginners of all ages and backgrounds. Leads to an internationally recognised standard. "My review of Arabic Online : the course is good for all kids of learners. It doesn't matter what kind of learning you are. it does matter on capability. " "Learning a language from the basics: The pronunciation techniques. Pimsleur walks you through each syllable of the word several times allowing you time to repeat. I used Pimsleur before traveling to France and after only a few months practice I had a lot of compliments on my pronunciation while I was there. " Yabla online language immersion improves skills with authentic videos featuring bilingual captions and interactive controls. "Yabla can be really great in the right classroom: I love that Yabla lets students play the video clips at a slower speed and also allows them to put the subtitles on. It's also nice to be able to click on the words in the subtitles to learn what the new words mean." Instant Immersion will help you learn to speak a new language. Start learning today and be prepared to travel without worrying about language barriers. "Great product: I really liked the ability to chose from many different languages"
Verbling provides online live video technology to help people develop their language skills together with teachers and students on a global scale. "Verbling Review: I like that it offers in person lessons for a lot of different languages. They also offer deals, I believe you can usually get a free trial when you join." 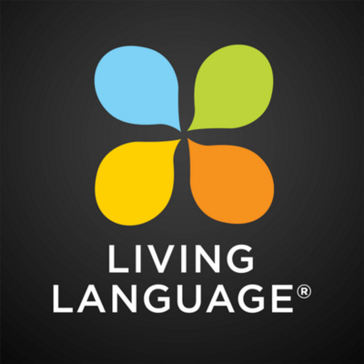 Living Language offers language learning in over 21 languages and in a variety of formats including online courses, apps for mobile devices, audio CDs, course books, or integrated into a Language Management System. Living Language was developed in 1946, based on language courses developed by the US State Department to be used by overseas diplomats. "Pre-arrival Language Learning : Convenient and easy to use platforms. I could do some studying from a textbook, but also listen on my phone when necessary." TheTalkList (TTL) on-demand per session tutoring system is a videoconferencing marketplace for language learning. Consumers get the best purchasing power in our automated platform that offers crowd sourced tutor selection, flexible scheduling, and social appeal. "Nice place to learn and interactive too. Lovely place and flexible too. : There are lot for good things about it. Real good place to learn loads of things. Extremely flexible according to your busy schedule. Myriad of great tutors to help you in your preparation. I learnt how to speak American English from this website. I was initially skeptical about this website, since I didn't find it's reviews but I finally spoke with the team and I was completely sure that this is a genuine website. It has an interactive platform to learn, which is just like virtual classroom, you and your tutor will be having one on one call. I enjoyed it a lot. There are live sessions from so many areas like technology, business, travel, academics, which is great. I can select my own tutors to learn from, which again gives you an edge. We can purchase credits to book only the sessions we need. No more no less. I don't know whether it's the cheapest, but it is great indeed and it's services are worth the price you pay." 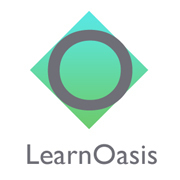 LearnOasis offers language learning resources to help you learn a language efficiently and effectively. "Learning Software For Languages: It certainly has a cool style, and it has a lot of languages in it's database that you can choose from. More so than other programs like it. That's a bonus in my book. " Hi there! Would you like help finding solutions similar to eLanguage?